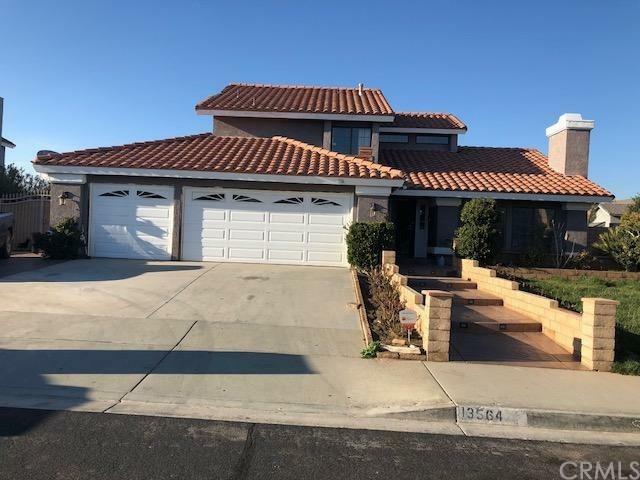 GREAT PROPERTY IN A VERY NICE AREA OF VICTORVILLE. THIS HOME IS LOCATED IN A WELL ESTABLISHED NEIGHBORHOOD. THE HOME OFFERS A NICE ENTRANCE, 3 CAR GARAGE, 4 BEDROOMS, 3 BATHROOMS, THERE IS A BATHROOM WITH A SHOWER AND A BEDROOM DOWNSTAIRS, THE BEAUTIFUL KITCHEN HAS GRANITE COUNTER TOPS AND A LARGE ISLAND, STAINLESS STEEL APPLIANCES, DOUBLE OVEN, FORMAL DINNING ROOM, FORMAL LIVING ROOM AND FAMILY ROOM BOTH HAVE A FIREPLACE, TILE THROUGH OUT THE HOUSE, LAUNDRY ROOM IS DOWNSTAIRS, LARGE MASTER BEDROOM WITH WALKING CLOSET LOCATED UPSTAIRS, TWO BEDROOMS WITH JACK & JILL SINKS, THIS HOUSE HAS A BIG BACKYARD FOR ENTERTAINING, ENJOY THE EXPENSIVE COVERED PATIO, THE SIDE YARD COMES WITH IRON FENCE,FRUIT TREES, RV PARKING, NEW PAINT. THE HOUSE IS CENTRALLY LOCATED AND CLOSE TO SHOPPING CENTERS, RESTAURANTS, SCHOOLS, AND FREEWAY. PROPERTY HAS A LOT TO OFFER. BRING US AN OFFER, SELLERS ARE VERY MOTIVATED. Sold by Jessie White of Freedom Realty Group.